The sessions, will be delivered by experienced practitioners and trainers, all of whom own and manage their own companies so understand the core skills vital to business development. 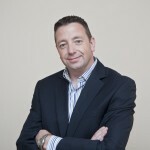 Managing Director of Winning Sales, Jackie is the inspirational and passionate sales expert from Dublin. Committed to ethical and professional selling practises, Jackie is focused on helping businesses succeed in highly competitive marketplaces. Her extensive personal track record in global sales, coupled with a wealth of experience training and coaching thousands of sales people across a range of businesses, ensures she is talking real world practical stuff, versus the common rhetoric we come to expect from other “sales gurus”. Jackie has had a highly successful 30 year career in global sales with an impressive range of companies and clients, from top football clubs, leading law firms, universities and household brands, as well as a host of small businesses, start-ups and social enterprise organisations. Recent achievement include publishing Successful Selling for Small Business and joining the Entrepreneurial Development Department of Newcastle University where she is to be found supporting our young and talented Graduates, assisting them in their start up ventures and contributing to business success and regeneration in the NorthEast. Leaving the corporate life Nevil set up New Results Training based on the belief that everyone has the opportunity to grow, develop and improve and that everyone can achieve their potential with the right mix of skills, knowledge and behaviour. Nevil, and his co directors work with clients across a huge range of industries and sectors, from local charities to international corporate providing over 80 years commercial experience and over 30 years in coaching and training. New Results Training also support and run the North East branch of the Institute of Sales and Marketing bring together sales and marketing professionals from across the region to share their ideas, experiences and network. Connections are woven into everything Janice does; when she’s working, she carefully builds a connection with each client which enables them to work together with complete trust and respect. That way, they see the greatest results. Teaching this technique to others is top of her ‘To Do’ list, helping people to develop themselves, build their business confidence and work on their goals and plans for the future. Networking has been a focal point of Janice’s career. As winner of the last Durham Business Club Networker of the Year Award, she has built her connections throughout the North East and beyond over 20 years. Janice holds the voluntary post of Joint Chair of the National Women’s Network, a support organisation for women in business. Currently working with The Business Factory project in North Tyneside for Ixion Social Enterprise, Janice shares her time between North Shields and her home city of Durham. She would rather talk to you about Miniature Schnauzers or roaming the countryside in her caravan, but we think you would also like to know that Janice is a Chartered Manager and Member of the CMI, a Certified Practitioner of NLP and a member of the Association of Neuro Linguistic Programming International and a Member of the Chartered Institute of Marketing. 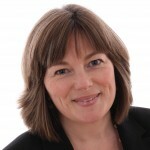 Joanne Dolezal is lead consultant at Dolezal Consulting and a lecturer in Digital Marketing at NESMA, helping to deliver programmes for Digital Marketing Institute and Chartered Institute of Marketing. 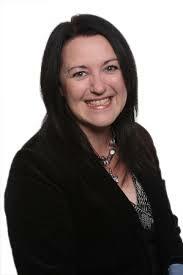 Joanne holds an MA Marketing and Professional Diploma in Digital Marketing. 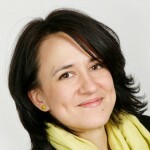 Joanne has worked across the public sector, private sector and with charities on marketing, branding and communications. Dolezal Consulting provides marketing driven business growth using an improved strategic focus, a clear marketing plan and delivery through the best possible channels for your business and budget. Jonathan Ward is an award-winning communications professional who has worked continuously within the media industry since 1992. 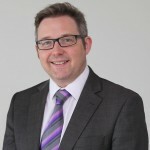 In 2006, Jonathan set up his own PR consultancy successfully competing against more experienced agencies to win contracts with organisations across the North East. He now works as a freelance PR professional and teaches on the BA and MA programmes in Journalism and Public Relations at Newcastle University and Sunderland University. 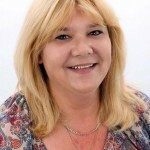 Amanda Dixon is an Award Winning Social Media Consultant offering both training and management services and has been trading as I Am You Ltd for 4 years. She delivers a series of Social Media Workshops on LinkedIn, Facebook, Twitter and Google+ and also works with businesses on their Social Media Strategy. She has trained over 2000 North East Businesses and has delivered workshops on behalf of Durham Business Club and the NECC. Drawing upon experience gained from a career in Sales & Marketing and Asset management, Emma established Elrah Consulting in 2009. Focusing upon development of training and coaching services for business owners and individuals centred around a range of commercial and interpersonal skills, Emma provides both bespoke and open programmes. Her current client base includes RS Components, Northumberland Wildlife Trust, EcoNorth, Northumberland Sausage Company and Skills Bridge along with a number of SME’s. 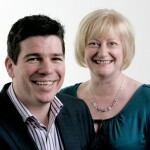 Grant Henderson and Susanne Brown have over 35 years of consultancy experience between them. Having worked within operations, senior management, training and coaching – they have both been employed by large recruitment businesses, run their own businesses. By understanding the full recruitment and employment cycle and how important people’s natural strengths are, they have been able to develop innovative techniques using the i3 profiling system to help people reach their full potential. Per gli uomini come te, replicas breitling Perfetto Orologi offre le migliori orologi militari in grado di soddisfare tutte le vostre esigenze. omega replica Ogni uomo ama fare affidamento su un buon orologio, non solo per il suo aspetto, ma soprattutto per la sua funzionalità. Ma alcuni richiedono un orologio in grado di fornire la resistenza supplementare e la sostenibilità, anche nelle condizioni più difficili. Si può essere un soldato, alpinisti, audemars piguet replica escursionisti, turisti, cacciatori e appassionati di tattico. Abbiamo una vasta selezione dei migliori orologi militari audemars piguet replicaattualmente sul mercato per il prezzo migliore. Ecco la nostra lista top 3 dei must-have replica orologi militari che sicuramente contenere qualcosa per tutti. Cominciamo.